London & Surrey Gas Services Ltd - Central Heating Engineer, Plumber based in Worcester Park, Greater London. 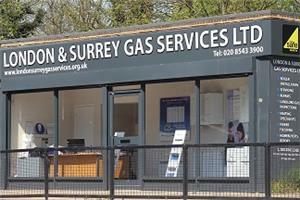 London and Surrey Gas Services have highly trained heating engineers that are Gas Safe Registered. We have over 20 years experience in the heating industry. Our aim is to offer a high quality value for money job and a friendly, efficient service, with the least amount of disruption possible. We are Worcester, Vaillant and Baxi/Potterton accredited installers and can offer 7 to 10 year warranties on new boiler installations. We can help you get up to £500 cashback on new boiler installations with the 'Mayor's new London Boiler Cashback Scheme' please contact us for details.